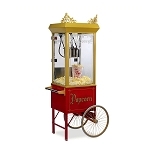 This popcorn machine features the 8oz E-Z Kleen stainless steel kettle. 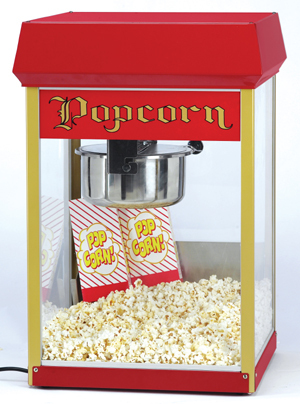 This machine also features the twin arm kettle suspension with removable kettle and heated corn deck. Comes with "old maid" tray. Buy the 24/10.6oz Naks Pak Popcorn. 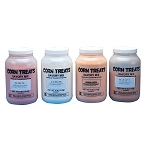 Our NaksPaks are pre-measured popcorn, complete with flavored oil. Perfect for small concessions or when you're in the mood for ballpark popcorn. This size goes with any 8oz kettle machine. Our Butter-Coconut NaksPaks gives you the great taste of butter popcorn with just a hint of coconut oil. 19 1/2" x 19 1/2" x 29" cabinet. 1050 Watts.